In order to prevent corruption and conflicts of interest within government, many major countries around the world require that their highest level leaders release annual reports disclosing their most recent income, tax returns, salary and personal net worth. For example, Barack Obama's, tax return last year showed that he and Michelle grossed $608,611 for the calendar year 2012 (his 2013 tax forms should be released soon). Most of that income came from Barack's book royalties and $400,000 Presidential salary. Believe it or not, Russia actually has the same requirement for its leaders. Including current President, Vladimir Putin. Last April, Putin revealed both his salary and estimated net worth. Unfortunately something just didn't add up. Putin's disclosure portrayed the controversial leader as a humble man of the people with very meager, practically non-existent, income and assets. This portrayal did not sit well with many experts of Russian government and politics. These experts agree that, without question, Putin has used his last decade of absolute power and wholehearted corruption to stash away a vast personal fortune estimated at more than $70 billion. A fortune that simply does not jibe with the humble, man-of-the-people, portrait Putin paints of himself. Vladimir Putin is currently serving his second term as the President of Russia. His first Presidential term lasted from 2000 – 2008. Putin was also Prime Minister of Russia from 1999 – 2000 and again from 2008 – 2012. In last April's financial disclosure, Putin listed his "official" Presidential salary at $187,000 (5.8 million rubles). And while this salary has gone up more than 50% since last year, it's still significantly lower than the $400,000 that Barack Obama earns annually to run The United States of America. Putin further claims to have a relatively meager net worth. His paltry personal assets include a bank account with $180,000, three Russian made cars, an apartment in Moscow with a garage and a 16,000 square foot plot of land in the Moscow suburbs. Putin also revealed that his wife Lyudmila controls bank accounts totaling $260,000 and pulled in a 2013 income of just $3,900. That's three thousand nine hundred dollars. We did not forget a zero. 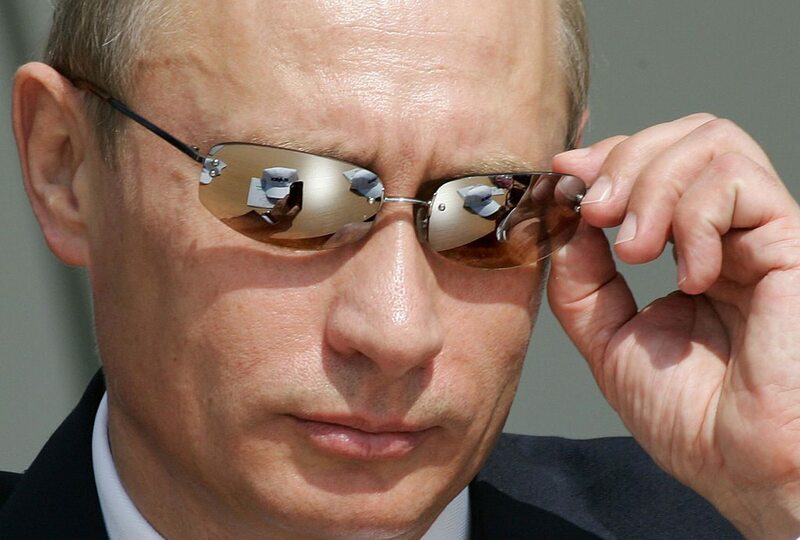 In total, Putin estimates his own net worth at less than $500,000. By comparison, Obama's reported net worth has increased from $200,000 when he first stepped into the Oval Office to nearly $12 million today. That's a 5900% increase in net worth between 2000 and 2014 (the same time period Putin has essentially ruled Russia). So what's wrong with believing that Putin earns just $187,000 per year and has a relatively unsubstantial net worth? After all, Putin came from very humble beginnings. Just breaking into the middle class would be a big win for anyone with his background. His mother was a factory worker and his father was in the Soviet navy. The family lived together in a low-income communal housing project. The family was hardworking and lower class but somehow managed to send young Vladimir to college and law school. After graduating from college with a law degree, Putin spent the next 16 years working as a KGB agent. In 1988, the official White House photographer inadvertently photographed Putin spying on President Ronald Reagan while disguised as a regular Russian tourist in Moscow. After retiring from the KGB in 1991, Putin used his connections to land a job as the head of the Committee for External Relations to the mayor of St. Petersburg. By 1994 he had risen to the deputy head of the city administration for St. Petersburg and by 1997 Putin was also running the "Our Home Is Russia" political party. Putin then moved to Moscow where he was quickly made Chief of Presidential Staff by then President Boris Yeltsin. Yeltsin eventually appointed him to the role of Prime Minister and named Putin as his chosen successor. After Yeltsin unexpectedly resigned on December 31st, 1999, Putin became the acting President of the Russian Federation and thereby launched a nearly 15 year reign of absolute power and control. During his reign, many Russian insiders and experts believe that Putin has used his power to do a little more than improve life for the common Russian citizen. While many previously state-owned industries were privatized, Putin allegedly has used his power to build large secret ownership stakes several multi-billion dollar commodity firms. His most vocal critics assert that Putin has leveraged his power to acquire a 4.5% ownership stake in natural gas producer Gazprom, a 37% stake in oil company Surgutneftegas and 50% stake in Swiss oil-trader Gunvor. Gazprom alone does over $150 billion in revenue annually, Guvnor does $80 billion and Surgutneftegas over $20 billion. Using their most recent market capitalizations, Putin's combined ownership stakes would give him a personal net worth of $70 billion! So what evidence is there of Putin's secret obscene fortune? Let's start with the small stuff. Putin is known to sport a $150,000 Patek Philippe watch on most occasions and his total collection has been valued at $700,000. He also has full access to a $40 million ultra-luxury yacht that features a wine cellar, Jacuzzi, helipad and outdoor barbecue area. In terms of living accommodations, Putin has access to 20 mansions throughout the world including a lavish ski lodge and Medieval castle. The crown jewel of his property portfolio is a $1 billion palace overlooking the Black Sea that he allegedly owns through an anonymous trust. Furthermore, Putin makes frequent use of 15 Presidential helicopters and more than 40 private jets, many of which feature gold plated interiors. 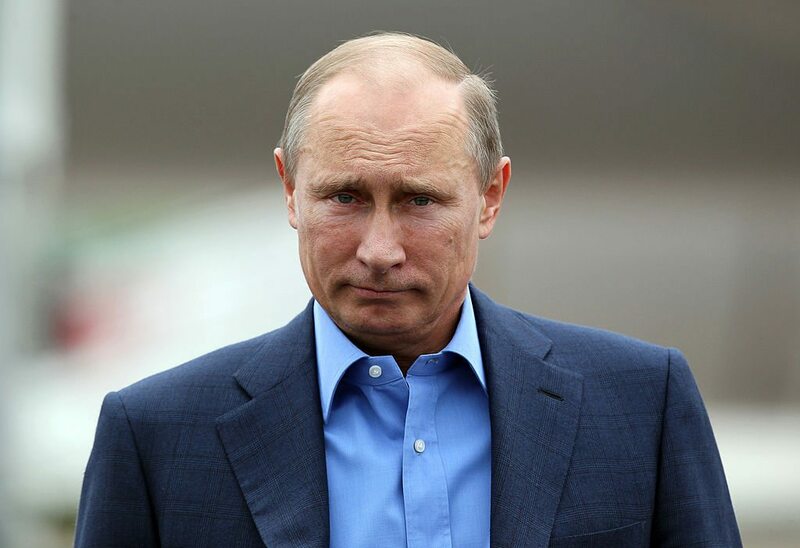 If Vladimir Putin's net worth truly sits at $70 billion, that would be enough to make him the third richest person on the planet right behind Bill Gates and Carlos Slim Helu. It would likely also represent one of the largest personal fortunes ever accumulated by a sitting President. The only other world leader who possibly looted more cash from his country was Muammar Gaddafi, who after 40 years of power stashed away a reported $200 billion in ill-gotten oil money. There's probably never going to be a way to fully scrutinize Putin's wealth, but at the very least it's safe to assume his official declarations are not the full picture. Do you believe that Putin is worth $70 billion?